This video is a step by step instruction on how to create a basic 3D Printed design using Tinkercad. The site is free and is what the prints on this blog are produced with. This Slideshow is a series of projects and ideas printed and created by students in the classroom. 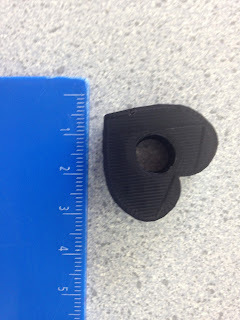 For this example Tinkercad.com is used to create a shape using the basic interface (which is free and comes as standard when you set up an account). From here using the basic shapes on the interface students create a small keepsake or object which is then printed.